Yesterday I gave you the tip about baking your bacon. So after I made all that bacon for the post, I had to find a way to use it. I wouldn't exactly call that a problem- I love bacon and can gorge on it all by myself! Well, then I decided to behave and share my beautifully baked bacon with the family. So, I made a nice hearty chicken sandwich and topped it with BLT fixings. Then I realized I did not want just plain mayonnaise on my sandwich so I jazzed up some store bought mayo with basil and jalapeno. This sandwich got two thumbs up from the hubby and the kids. I used some nice ciabatta bread that I toasted for the sandwiches since the filling was pretty substantial. You don't want everything falling out of regular sliced sandwich bread... so get some good hearty bread for sure. It's a great week night meal when you are want to get dinner on the table in less than half an hour. I suggest you make a double batch of everything because you will want to eat this again the next day. 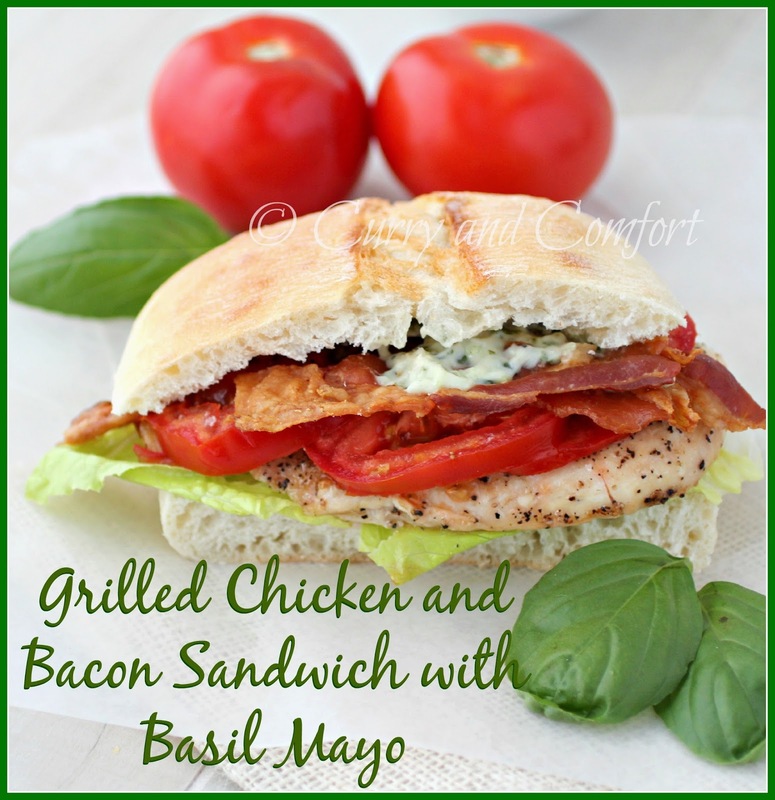 So bake that bacon, grill that chicken and enjoy! 1. 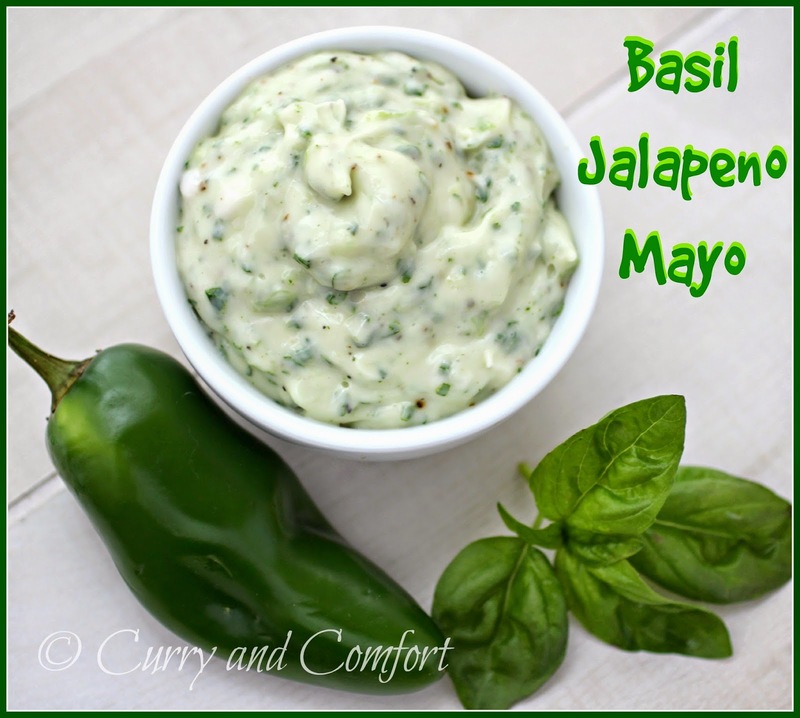 Place all Basil Jalapeno Mayo ingredients in a food processor and blend until smooth. Place in fridge until needed. 3. Grill chicken in a grill pan by seasoning both sides with salt and pepper and cook until chicken is fully cooked. If breast is too thick, cut through center like you are opening a book and make thinner slices. 4. 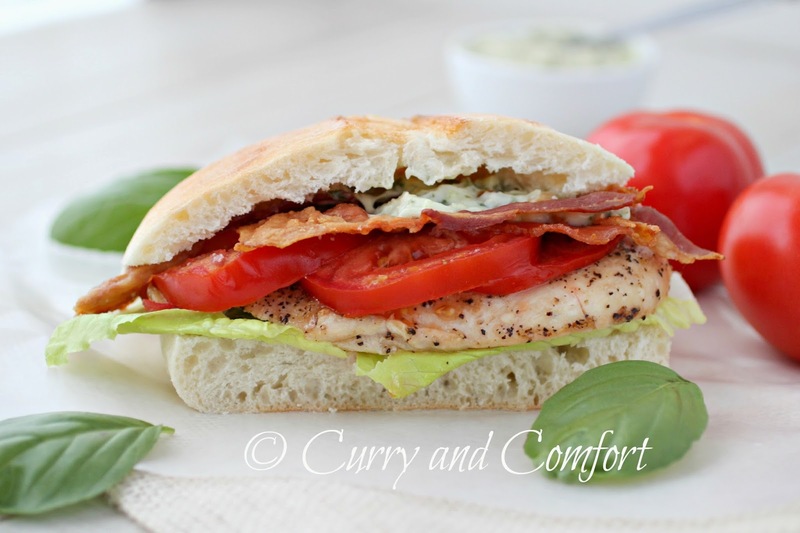 Assembly sandwiches by applying basil jalapeno mayo on both sides of (toasted) bread and then layering the bacon, lettuce and tomato on top of the grilled chicken. Enjoy. 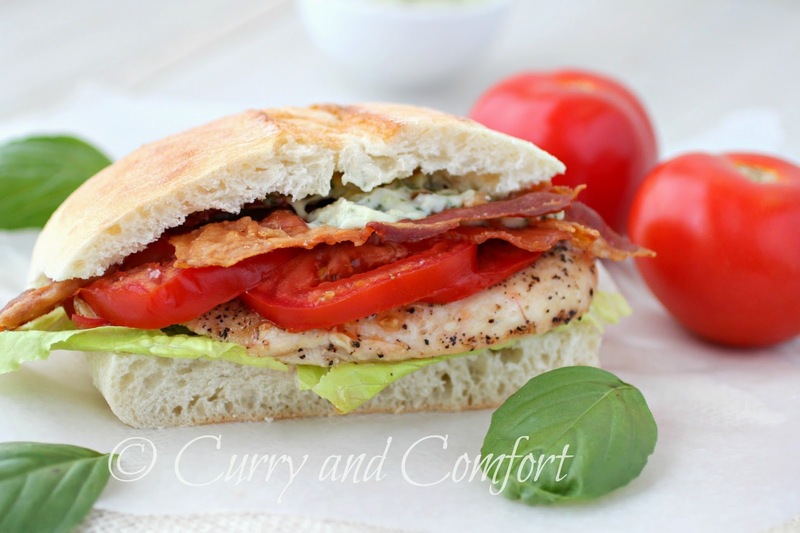 I always think that BLTs don't seem filling enough, but then you go and throw in that grilled chicken and basil and I am swooning! :D Love this BLT Ramona! Oh how I would love to have one of these right now. Perfect for a late night snack! Good and easy recipe. Thanks for sharing this recipe. I don't get much time to cook, since I am a writer and I am intended on writing academic cases for the past several years that are assisted me to gain knowledge in writing grading assignments for all sorts of students. I have worked in different companies in essay writing.Currently working for write my essay online.